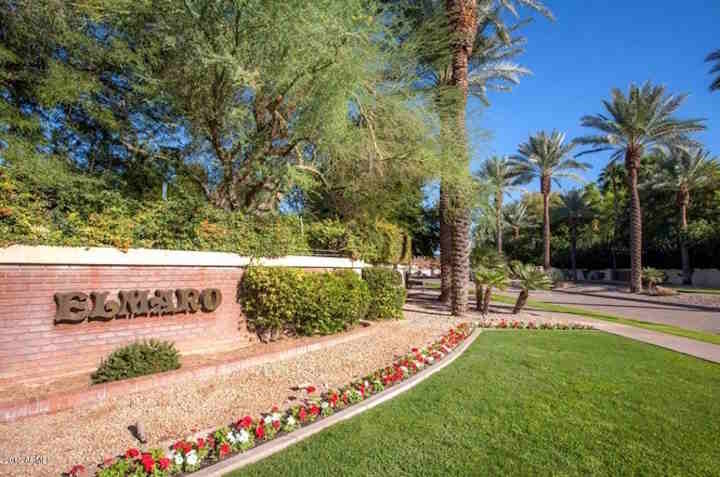 Elmaro Estates is located in the affluent city of Paradise Valley, Arizona. You will often see this community spelled "El Maro" but it is one in the same. Located just east of the interaction of Invergorden Road and Mockingbird Lane and nestled up against the "Camelback Country Club Golf Course". This extraordinary gated golf community offers 1 acre+ lot sizes, tennis courts, biking/walking paths and children's playground. Below are the latest listings for sale in Elmaro. Our Russ Lyon Sotheby's Paradise Valley Real Estate Experts can guide you through the homes currently for sale and help with your search for the perfect home in Elmaro. To set up a private tour of any home you see here contact us at; 888-316-4622.